Electric Bikes are changing lives! 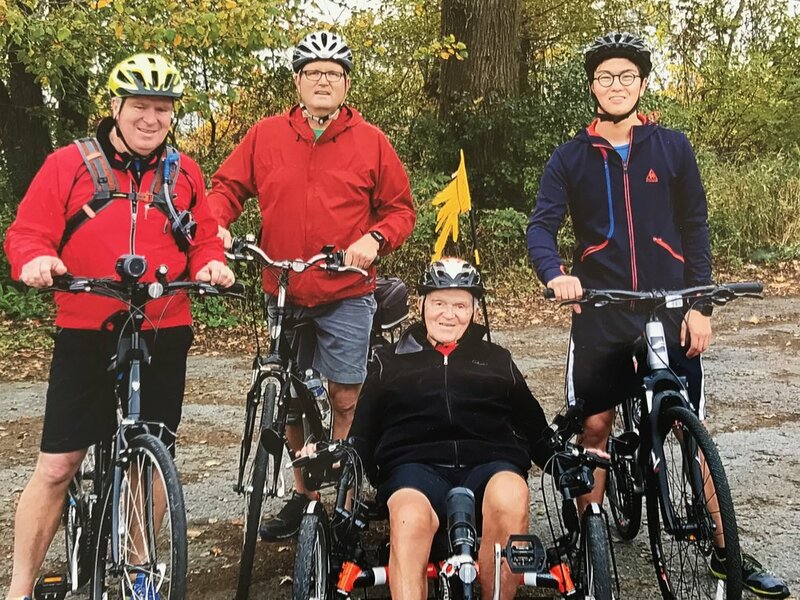 For over 40 years, Wheel & Sprocket has helped people of all ages, sizes and backgrounds reach their goals, stay active, keep healthy, and have a great time. That's why we're so excited to bring our customers this new way of enjoying biking. Our eBike community inspires us. Here are some of their incredible stories! After retiring as a field engineering coordinator, Pam wanted to find an exercise that helped her stay healthy and engaged in her neighborhood. 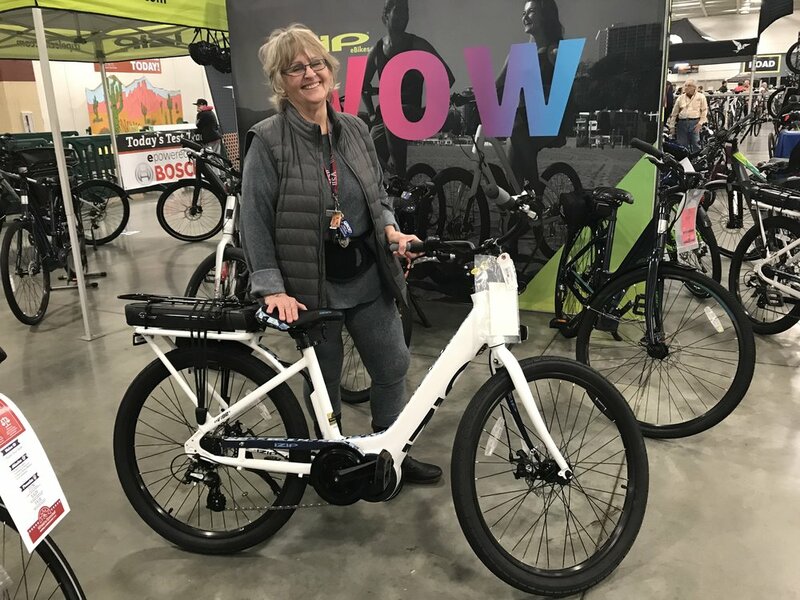 She read an article about eBikes, gave it a try and was hooked. Now Pam and her iZip Vibe are having great fun on the hills in Twin Lakes. We love that she bought a cute new Electra Cool Cat helmet to match! Terry was considering his options after knee, hip, and shoulder replacements. This former athlete and retired restoration business owner felt uncertain about his balance on a regular bike. Then he discovered the electric Terra Trike recumbent bike. Now he averages over 30 mile rides per day on the beautiful trails around Milwaukee. We have a hard time keeping up with him! Andrea has a new found love of commuting to and from her home to the family-owned interior design business. Her Felt Tote'm electric cargo bike helps her relax, notice her surroundings, and save gas. Husband Bill led the way when he bought the Trek Powerfly and now rides weekly with a group. Together, they're enjoying the ride and helping the environment! Sign up and keep up with eBiking!